Loved your intro - afterall, isn't half the fun of baking getting to pre-test the results? Between taste-testing and accidentally oversizing the baked goods I usually budget a recipe making at least 1-2 items less than it states. I'm pretty sure EVERYONE secretly eats the batter. Raw eggs and all! Thank you so much for your Paleo recipes! They have helped me stick to it for almost a month now! yummyyy! 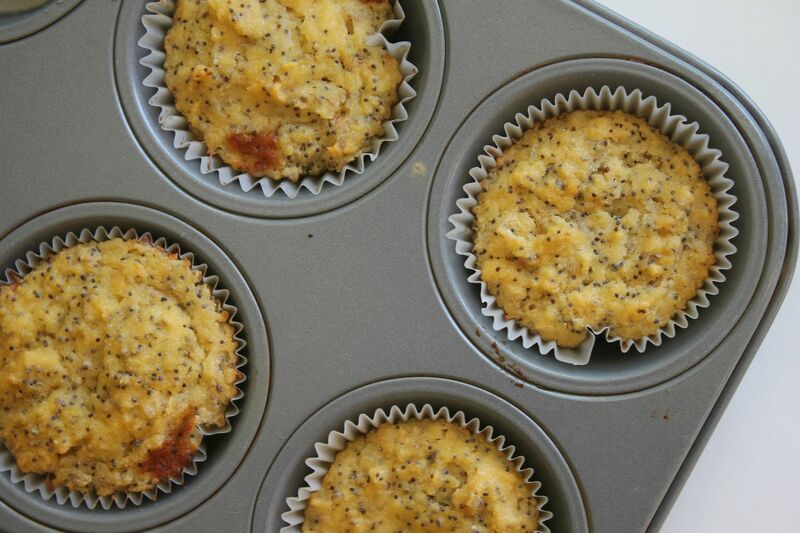 I love muffins made with coconut flour... and yes, i eat the batter, too, eggs and all! Yum! Can you bring some by?? ;) Hope your week is going well, friend! Anonymous- they are a treat, but yes all the ingrediets used are clean and healthy. From one batter-eater to another, these look really good! Looking forward to trying them soon! I'm seriously in love with your blog.Somehow a few weeks back or a month or more I repined your vit c serum recepie in pinterest. Today I remembered I never checked it to see how it's made and that's how i found you. first I love how your blog looks. it's neat and cute. Second you have the best skin care tips ever!! !I think i've read around 20 of your skin care posts and wanting more and passed to recepies and life post. I couldn't love it more. Your familly, your babys, your photos, the way you tell things...and you are so pretty!! looks great. How are you liking the Paleo diet so far? has it helped with the baby weight and are you satisfied with the food options? Mmmmm! I always eat the batter too. I might like it better than the actual baked good. I think my post-baby diet will be paleo. Can you sub stevia for the xylitol? Also, my grocery store keeps the poppyseeds behind the counter at the customer service. I guess people have found a way to get high off them??? Weird. Heidi- You can definitely try substituting with almond meal...but I am not sure they would turn out super moist. Danielle- I am loving it! Yes, it is helping with the baby weight! I only have 5 more pounds to go and I am contributing that the working out and cutting out certain foods for sure. Yes I am very satisfied with the food options. I do not miss cheese or dairy at all surprisingly. Tracy- this recipe does not contain xylitol but you are welcome to try out any combinations you like, although I am not sure exactly how they will turn out with other combinations. Just popped these out of the oven! The texture is great--so light and moist. I messed up the flavor somehow--not enough lemony-ness, or maybe I skimped on the vanilla. Probably could have avoided that if I weren't so phobic of raw batter! I just made these tonight and they were good! Love the texture, though I could definitely go for more lemony flavor. What a great recipe! Thank you so much for sharing! Can't wait for the book to come out! I just put these in the oven...the batter tastes delicious! I'm sure they are going to turn out great! Thank you! anyone try these with bluberries? Do you think there's a substitute for the honey? Or is that a necessary element? Thanks!! These are so delicious warm out of the oven with butter. I made half the muffins purely lemon poppy seed and the other half plain lemon with blueberries. I used coconut sugar for the sweetener and added a splash of almond extract. I'd say, however, that even without eating any batter, the recipe only makes 8-10 regularly sized muffins. A dozen was a stretch, so I'd recommend one-and-a-half-ing the recipe if you don't want puny muffins. These were delicious. Thank you so much. My husband has been Paleo for almost 4 years and he loved them. He had come home from work the day before and seen that my son and I had made mini muffins. They weren't paleo and he was bummed so I was so thrilled when I found these. I love your blog. I made those according to the instructions before, and they were delicious! Today I didn't have any lemons, so instead I used 2 oranges, even put a little bit of pulp in the batter. So good! 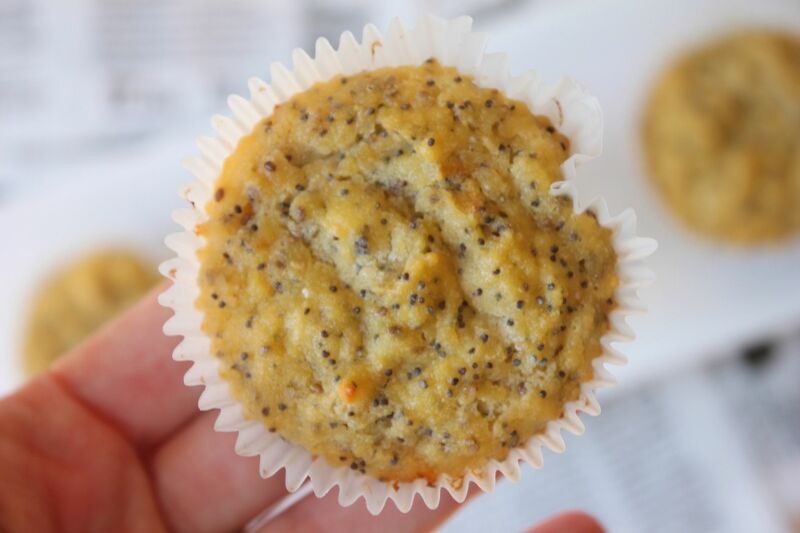 Next time will try with oranges again, and will swap poppy seeds for dark chocolate chips. I'm sure it'll be amazing! I made these and they are FANTASTIC!!! Yay! These were fantastic! I added a few packets of stevia b/c I was short on honey but they were perfect! I just saw these on Pinterest and came over to see the recipe...I can't wait to give these a try! I'm pinning again and following! Thanks for what sounds like a delish alternative to regular muffins. Looks delicious. Also visiting from Pinterest! New follower! I just tried these, they are amazing! Mine were soooo moist - almost like they weren't done completely. Is that normal? I cooked for correct time, toothpick came out clean and they looked exactly like yours! Are they just extremely moist?! This is my first time attempting gluten free so just wondering! :) thanks! I made these tonight! The chia seeds work great since I couldnt find poppy. I also added a little protein powder:) Thanks for the yummy treat! I've tried so many gluten-free baking recipes that have been total failures! This was a COMPLETE SUCCESS!!! Thanks so much for the best lemon muffin recipe ever!! I made a lemon glaze to drizzle on the tops: 2 tbs lemon juice whisked with a 1/2 cup powdered (confectioner) Swerve all-natural sweetener. 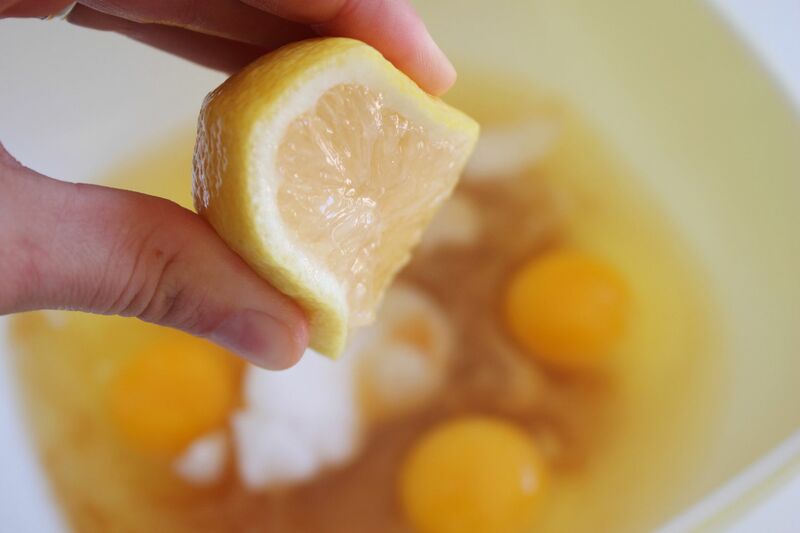 It adds an extra zing of lemon! Great muffins! Big hit with paleo and non-paleo peeps. So moist and lemony. Of course bringing the sugar goodies! Seriously, You do great work and some of these things can take a lot of time with T.L.C. involved. Your kids are lucky to have you as there mommy- you appear to be an attentive mommy. Thanks for sharing your post on all the nummy- yummy's ! Do you know how many calories are in this recipe? per muffin/serving? Is coconut flour the same as coconut fiber - and if not, could i subst. the flour with fiber? 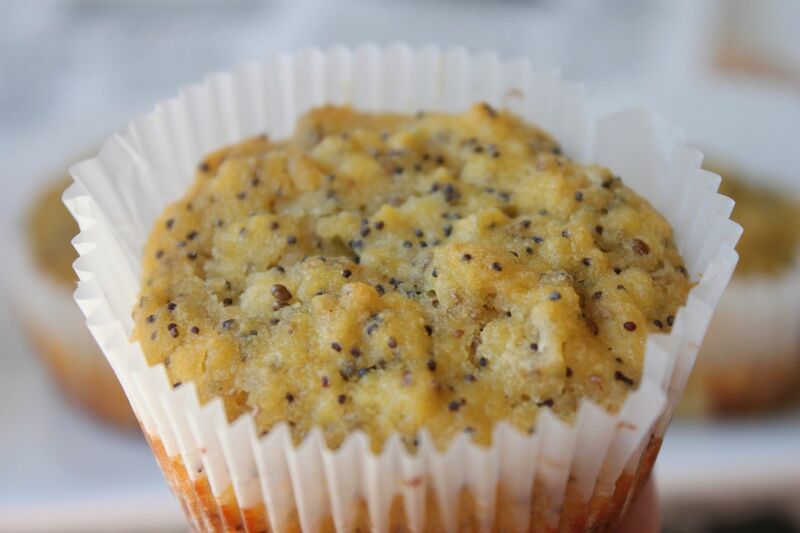 WOW, I've been playing around with paleo baking, and after the fifth muffin recipe, I found the winner! SO moist, and way too addicting. Thank you for this recipe I shared it on my blog! Only 1/2 of four? Does is make 12 muffins? Love your site and recipes!! How much juice? I don't have any lemons, but I do have juice. Also, would this work with lime? Thanks! I laughed when I read that you'd eaten 1 batter's worth of muffin... when I tasted the batter, I knew why... :-) These muffins are FABULOUS!